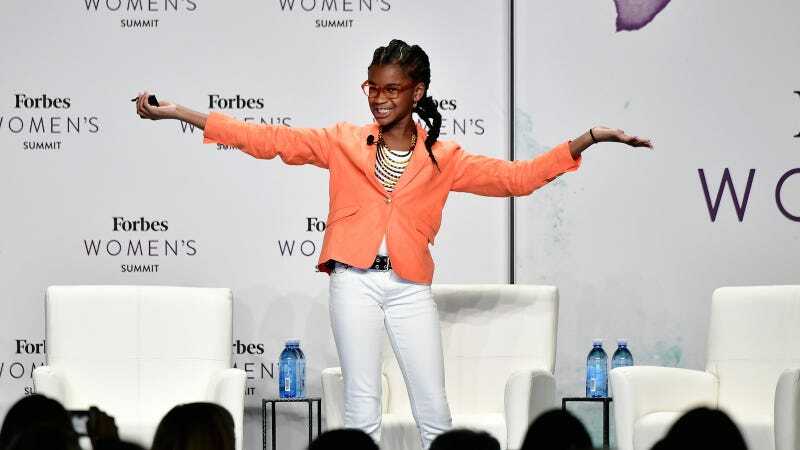 Marley Dias is the youngest person on Forbes 30 Under 30 list, and she has 17 more years to get on there again, because she’s only 13. But maybe she should just focus on running the world? Dias rose to national attention after launching her campaign #1000BlackGirlBooks as an 11-year-old. The idea came to her as she was complaining to her mother about always reading books about “white boys and dogs,” and she decided to do something about it. Few adults do something about the stuff that bothers them, and Dias’s initiative was rewarded. She’s collected thousands of books with black girl protagonists and donated them to various organizations all over the world. Now she’s written her own book, Marley Dias Gets It Done And So Can You. Can we?? In the full interview, Dias talks with as much excitement about meeting Ava DuVernay as any of us would, and shares her secret for success. Even adults can take this message home.